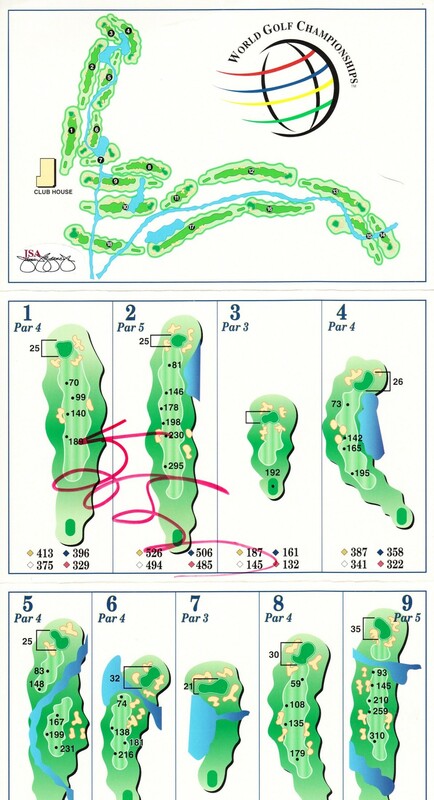 La Costa World Golf Championships (this course hosted the Match Play Championship for many years) scorecard autographed in red marker by PGA Tour star Vijay Singh. Obtained in person. Scorecard is creased on the top panel with the WGC logo. Authenticated by JSA with their unnumbered Stamp of Approval sticker and certificate of authenticity from AutographsForSale.com. ONLY ONE AVAILABLE FOR SALE.